UGI is proud to support veterans services programs throughout our service territory. In honor of military appreciation month, UGI is pleased to spotlight Lancaster based Transitional Living Center (TLC) as our Featured Organization in May. TLC is one of several veterans’ service organizations that benefited from UGI employee support during National Volunteer Week. UGI is proud to support TLC and their Bridges to Housing Program. Bridges to Housing provides a number of services to address specific needs of homeless individuals, including veterans. UGI employees from our Lancaster County area donated items to support TLC and their Bridges to Housing Program. Items donated included clothing, nonperishable food, and gift cards. 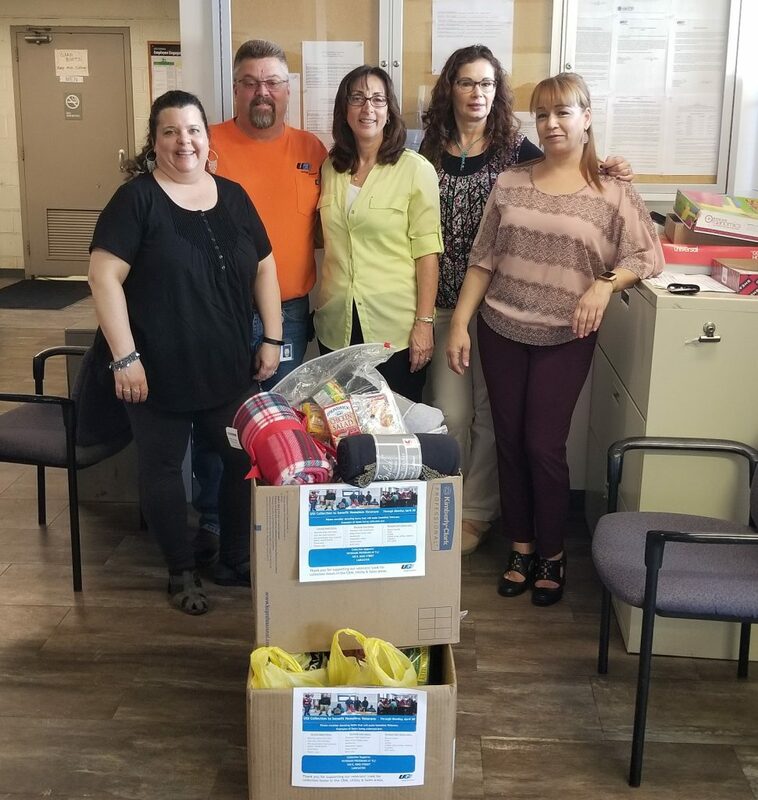 Employees from UGI’s Lancaster and Oxford offices collect personal care items for Transitional Living Center’s Veterans’ Victory House. The program includes supportive services for veterans’ families and the Veterans Victory House (VVH). The goal of the VVH is to provide veterans experiencing homelessness with opportunities to develop an individualized housing plan that will enable them to obtain permanent, sustainable housing. Follow UGI on Facebook, Twitter, and Instagram to see our employees in action in your community.